Your attendees want to network at your event. They want to meet people who share similar interests and create meaningful connections with other attendees. The easier it is for your attendees to network, the more value they receive from your event. As a planner, your success partly depends on facilitating effortless networking at your event. You need to plan for networking, not treat it as an afterthought. Using the right tools and guidance can make a huge difference in your attendees’ abilities to make powerful connections. A custom mobile event app is the perfect tool to help you transform your event and facilitate valuable networking for your attendees. Event apps can provide a convenient, fun, and lasting way for your attendees to connect and interact with each other. These features provide an easy way for your attendees to find people of interest, exchange information, share ideas, and meet in person. But why stop there? Why not add mobile-app features to your event that will blow your attendees away and make networking even easier? With the right mobile event app, you can. Cutting-edge mobile event apps, like those offered by MeetingPlay, can give you the opportunity to boost your event’s networking potential. Often, there isn’t a lot of time for your attendees to network, so the connections they make need to count. Quality trumps quantity. The matchmaking process begins with simple questionnaires you send to your attendees before your event or during registration. We work with you to create questions that align with your event goals and facilitate networking. It’s a good idea to make your attendees aware of the event app and the matchmaking feature ahead of time. From a planning perspective, it’s best to have your attendees answer their questions before your event begins and you may want to incentivize them to do so. But don’t worry if they don’t, just be sure to encourage them to do so as part of your onsite registration process. It’s also important to make sure most of your attendees answer their questions. This information helps to ensure your attendees receive high-quality networking recommendations. Once you collect your attendees’ information, it’s time for our app to go to work. We use matchmaking algorithms to process the information your attendees provide and make recommendations on the best connections for each app user. You can set up your recommendations any way that suits your event and makes sense to your attendees. You can create connection lists based on similarities or differences in responses, depending on your goals. We help you every step of the way and make sure your attendees get the most out of their networking experience. During your event, each attendee has your event app on their mobile device. As part of their dashboard, you can include a list of recommended networking connections for each person. The app can also display information about their potential connections, including personal information, photos, and customized details. This data makes it easy for attendees to find their targeted connections and schedule meetings with them during your event. But wait. Like a late-night infomercial, there’s more. * Gamification – Incentivize your attendees to network with their target connections by offering points for networking. At the end of your event, you can offer prizes and rewards based on the points your attendees have collected. You can also group like-minded attendees and encourage them to participate in Group Gamification efforts, which will allow them to connect. While it all seems like fun and games, gamification and matchmaking can help your attendees network, make meaningful connections, and get more out of your event. You can learn more about how gamification can thrill your attendees here. * Beacon Tracking Integration – It’s one thing to provide your attendees with a list of networking targets. It’s a completely different experience if you help them find their connections without having to search, or even think about it. 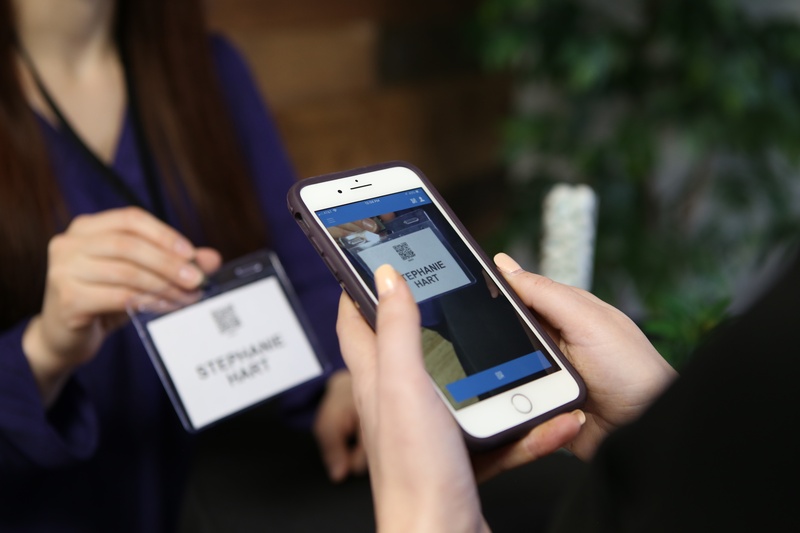 Our innovative event apps allow us to combine matchmaking algorithms with wearable Beacon technology - your attendees can receive alerts when they’re near their connections. Your attendees can enjoy everything your event has to offer while making valuable connections when they’re near someone on their networking list. Learn more about Beacon Technology here. 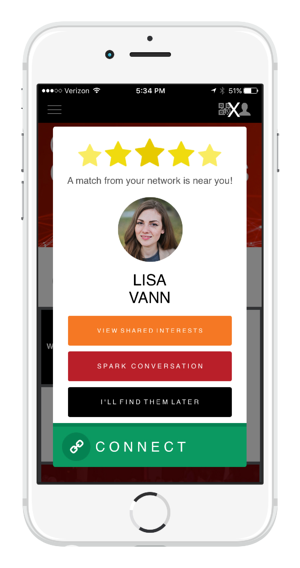 From matchmaking algorithms to proximity beacons, we can help your attendees make meaningful connections. We can provide the valuable resources you need to make your event a hit. If you’re ready to create unforgettable moments at your next event, we’re standing by to help. Contact us today to learn more about our customizable services and white-glove support.